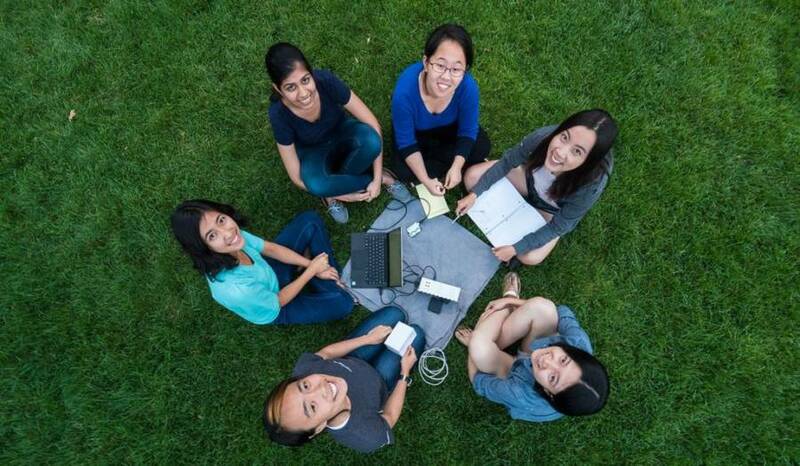 Tactile, the first invention of its kind to translate text to braille in real time, was created in 15 hours by six young women at MIT. A team of six women from MIT has created a portable machine capable of literally lifting text off the page. 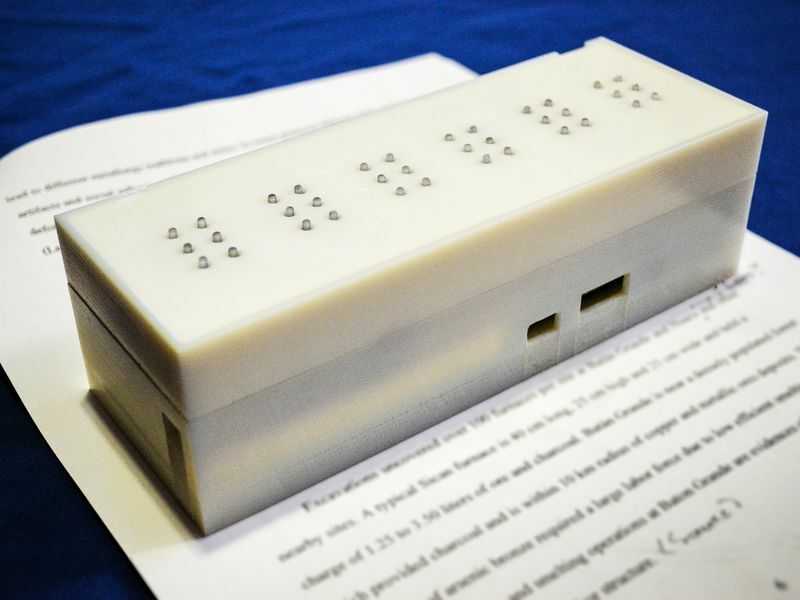 Their Tactile project is the first invention of its kind to translate printed words into braille in real time, six characters at a time. 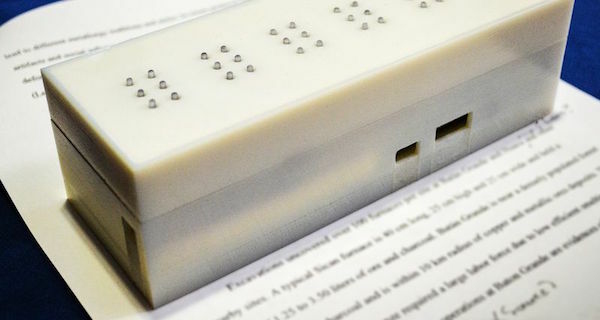 The “braille cell” is made using a small camera with letter recognition capabilities that translate the text by pushing up six to eight dots to form the braille characters. The team first created the device while participating in the MakeMIT hackathon — a university competition in which teams are given 15 hours to design, code, test, and debug projects. Their first try was a very rough prototype that had to be connected to a computer and could only display one character at a time. Now — after narrowing it down to the size of a candy bar, adding five more characters, and eliminating the need for a direct computer connection — the women feel confident that their invention could have significant real-life benefits for the 1.3 million legally blind Americans. Their adviser, Paul Parravano, agrees. Most of the available technologies of this sort focus on digital text and are extremely expensive. The Tactile team hopes to eventually sell their device for $200 or less. Tactile does face one key hurdle, though. Less than ten percent of people who are legally blind can read braille. But Ike Presley, the National Project Manager for the American Foundation for the Blind, disputes that statistic, claiming that it’s based on outdated measurements. Some in the industry seem to agree that the work is groundbreaking. Tactile has now won multiple competitions, received thousands of dollars in funding, and is being supported by a Microsoft program providing pro bono legal support to female inventors with the goal of increasing the percent of patents held by women in the US (currently just 5.5 percent). Parravano said that the selfless nature of the invention is a perfect example of what women can bring to the industry. Next, learn about seven war-time inventions you probably use every day. Then, check out the strangest inventions in history.